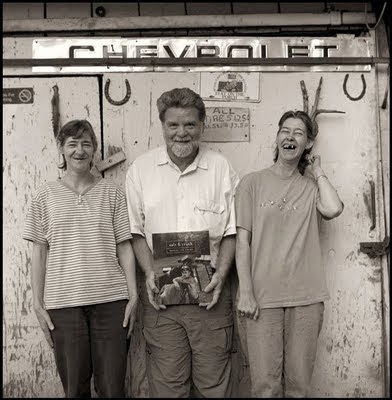 Gordon Stettinius is the founder of Candela Books in Richmond, Virginia. I caught up with him recently to chat about Candela's latest release, Salt & Truth by Shelby Lee Adams. B: Hi Gordon, I saw the article in the Times. Congrats on that. Was that a surprise for you or did you have any notice? Gordon Stettinius: We had some notice actually. It was pushed back a couple of times and I really had to work a little to see it through. PR like that can't hurt. No, doesn't hurt at all! I'm impressed with the Adams book. To me it seems like an improvement on Gita Lenz, which was also very good. But this one has a very good design sense, and more diverse spreads. And the tonality seems more subtle or maybe I'm imagining. Were there specific things you learned the first time around that you applied this time? Well the idea of the design evolving is both true and untrue. In a sense, we tried to put together a book for Gita that would be contemporaneous with books that had been published by and for her artistic peers. With a contemporary artist such as Adams, we could update the sensibility a little. But since he is a very established individual with previous monographs to his name also, we didn't want to go crazy with design. But we were definitely trying to have a contemporary design sense. So the designers were on a tighter leash with Gita really. Less so with Shelby. And we expect to let the designers go a little further out there in books three and four. 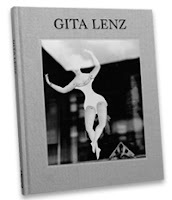 So you designed the Gita Lenz book to feel antiquated on purpose? The cloth cover? Anitquated... hmmm... I was thinking more along the lines of reserved or classic but we were actually looking at older books for inspiration. Thinking about how books used to be designed. Maybe antiquated was the wrong word. Of course antiquated can be a good thing. No, I take your point. We hoped to give her the book we wish that she had been given fifty years ago - at a time in her career when it might have helped her along. Who picked the photos for the Adams book? And sequencing? Shelby presented us with a fairly tight selection of images, approx. 100 or so, and then gave us a short list of images that he felt strongly needed to be in the book. 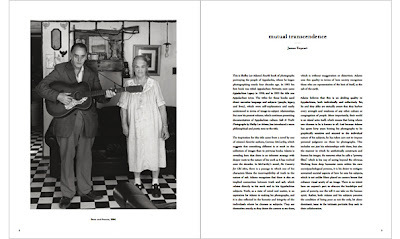 At that point we put together our idea of what a book of 75-80 images would look like. He tweaked and sent back and we each returned it a few times. It was actually a pretty smooth process for the editing of the images. They seem spread across a variety of years even going back across years covered in his other books. Were they ones he'd been saving, or did they belong together for him somehow? I'm just trying to get a sense of what binds them and separates from his previous books. Basically the time frame was from 2002 until last year. I believe there are 5 or so images from earlier dating back as far as 1987 I think. We were on the fence about including the older work but my sense is that these were images that for various reasons he hadn't included in previous books for editorial reasons OR he was more recently re-discovering them. I liked having them from the vantage of pointing to the consistency with which he has approached his craft. And for the most part the body of work is current or more recent. OK, I didn't catch that. It's basically recent work [w/ 10 images from before 2002]. That makes it easy. What's been his reaction to the book? Short answer is that he is very happy with how the book has turned out. We thought a lot about how to position the book alongside his earlier work. 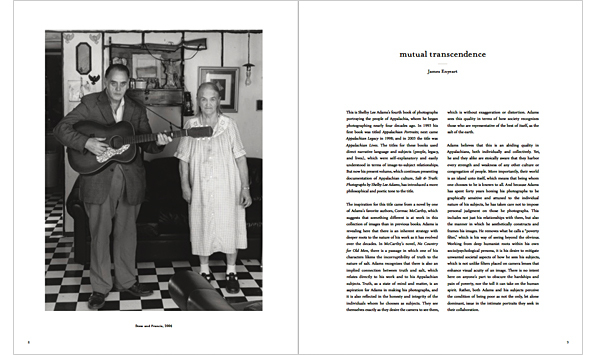 The "Appalachian" titling idea - Appalachian Portraits (1993), Appalachian Legacy (1998) and Appalachian Lives (2003) - used for the first three books, we could have continued with. And so, Appalachian Roots was a working title for a while and I actually rather like that one. But the suggestions that his work, which is all shot in the mountains and hollers of Eastern KY, speaks to the larger Appalachian region seems a little errant really. There are 14 states represented within the Appalachian range and so his work does speaks to a smaller place and, I felt, a more personal experience. Using "Appalachian…" in the title seems to suggest a larger survey of a region. We really tried to allow his work to find its niche in the art world and world of self-expression instead of being held to some standard of depicting a region. His work is somewhat documentary in nature but it is also collaborative and conceptual in nature and I think his critics are often saying that he is making up these scenes and peddling them as some kind of distorted picture of a region. My position - and his too I believe - is that these pictures are about a culture though at the same time are about relationships and longstanding concerns of trust and respect and acceptance. These folks are really fond of him and he is protective of them as well. The subjects all have a say in how they are photographed and in the images which are finally presented as well. I think Adams portraits are pretty amazing. At the same time they give me a bit of a creepy feeling because they might be interpreted as taking advantage of their subjects. I know he is part of the community and they are fully complicit and aware. I just have this sense that most of the people viewing these photos won't see them as the people in them might. For people seeing them in a book or NY gallery, the subjects seem impossibly exotic. Which is some of their appeal. But I don't think the people consider themselves exotic, so it's always put some tension in his work for me. There is some tension, I suppose, but I would have to take exception to the idea that he takes advantage of his subjects. I don't see that at all. The images are extremely personal. But there is a solid collaboration going on and Shelby really goes a great length to make it understood what he is doing. 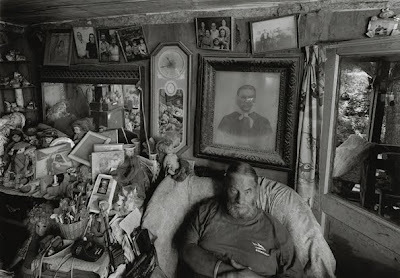 In fact, he has photographed some families for four generations. It would be impossible for them not to have a pretty solid understanding of his intentions. I one time spoke with a curator about this body of work and he shared with me that he initially - many years ago - was unsettled by Shelby's work. He had grown up in the South and he knew that world - or one very much like it. He also said that he had trouble dealing with the nature of showing this work, these conditions, as an aspect of a photographer's self-expression. But the more he considered the work, over the years, the more he realized that there are so many layers within the work, dignity in the subjects, perseverance in a tough and hard-scrabble situation that he came around to seeing the work as having a more humanist point of view. The issues this curator had with the work had had more to do with what he didn't want to acknowledge in his own history or had come to distance himself from for reasons that had more to do with his own issues than what he was seeing in the photos. He writes more eloquently on the subject than I am doing here but through the years they have become a great fan of the work. 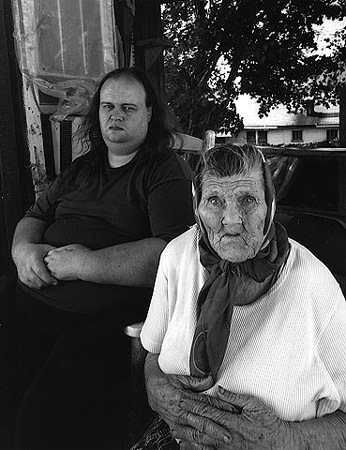 Other folks who have suggested that Adams should make photos of the more "successful" Appalachian residents... that is a very curious challenge because really if they want to see this side of things then they should consider making those photos. And the ambiguity of words such as "successful" or "positive" or what have you is sort of a moving target. There are definitely people in very different life situations in Salt & Truth. But the toughest ones stir up the most sentiment. Should we decide it is okay to look at some folks or some walks of life but not others? 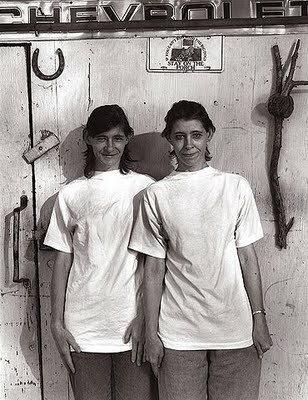 They remind me a bit of Roger Ballen's work. Ballen is amazing, but I don't consider him a flattering photographer. I love Ballen also. But he might be more of a painterly artist, I think, than a documentarian - in his construction of the more psychological images anyways. At least, in recent books he seems more a descendent of Meatyard maybe. 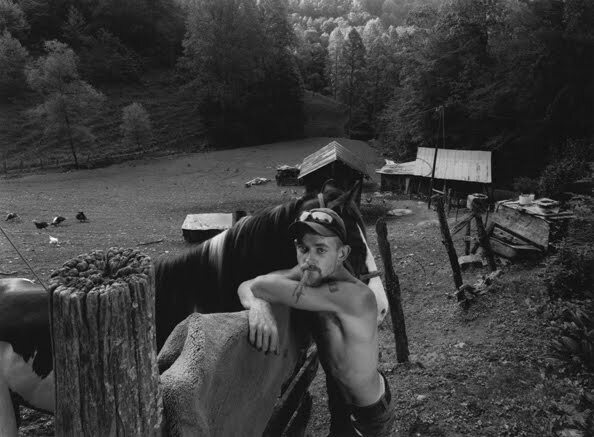 The photos seem to confirm certain stereotypes about backwoods Appalachia. Which I'm guessing are true and also not true depending on where you look. My honest take is that Shelby is recording a disappearing culture rather than trying to make sense of the culture that is replacing it. Or maybe displacing is a better word… He is trying to show the people that he knows in a manner that they are comfortable doing. He really is struggling against stereotypes in this work. But people do not always see the work in the same way. 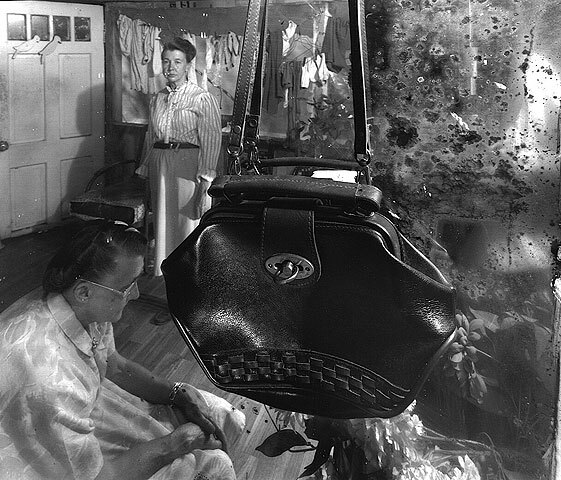 My favorite photo in the book is The Purse, just because it seems like such an oddball. It looks unlike his other photos, to me at least. It seems to open up other possibilities beyond traditional portraiture. I like that one too. It has the mirror, thus the duality. It has the object, thus the history. And it has Martha & Kizzie who are old friends. So it really is in the family of images but still, you are right that the image is organized a little differently than much of the other work. So back to one of my first questions. What did you learn about publishing the first time around that you applied this time? Hmmm. The work flow for Gita Lenz was unfamiliar to me. The idea of what happens - and when - in what is a six or eight month schedule created a fairly fluid, reactive approach to the production. After we committed to publishing a book for Gita, we then had to ask ourselves now what? And so we proceeded to learn at most every turn. With Shelby, I had a lot of new questions though so it wasn't really a cake walk. I guess the question I'm getting at is, what has been the learning curve of founding a book imprint? You've gotten off to a very good start but I'm sure it wasn't as easy as you've made it look. I had to grow a couple of sizes very quickly because Gita's project, we considered it successful after we just saw the book in print. The fact that it worked out okay as an investment was not as relevant to us as was seeing her memory celebrated. With Shelby came the responsibility of handling a photographic body of work that I had long felt to be important. I say this all the time now that while I am a huge fan of many different photographers, Shelby is important as an American photographer. His vision is uniquely of this country, even though there are universal themes running throughout. Some great image makers are sort of unrooted in time and place and so the provenance of the work is less essential. Anyway... I felt some pressure to do right by a photographer whose work I admire. Plus we wanted to create a new tone for the work without disrespecting the previous three monographs which are incredible books. So being a fan of Shelby Lee Adams for some twenty years and then getting this opportunity to possibly publish his fourth book, I had to think about that for a long while. I told him I was definitely confident that I could produce a high quality book but I was less certain about my ability to get that book out widely into the world. So, first thing, I really needed to arrange for distribution of the book because there was no way I could effectively handle the larger print run we were considering for Shelby's book. Then I began to pitch to D.A.P. and after some back and forth, I managed to get on board with them as a publisher and then could say with confidence that I could make a good looking book that would flatter Adams' work and someone - D.A.P. - would help me get it out there. Back up for a second. How did the opportunity to publish Adams happen? Basically, Shelby contacted me with a proposal. He had taken his work to other publishers and was also considering printing again with the University of Mississippi Press. But because he really was interested in how the work is received out there in the world he was considering repositioning the work as fine art in nature instead of his being marketed by an academic press as making a body of work that comments upon on a geographical region. It was a cool opportunity. And I was very excited about the possibility, presuming I could sort out distribution. I hadn't considered his work as academic. It's always seemed fairly rooted in fine art. I think you are right. And many people would agree. But think about the book being out there as an available resource for those seeking an understanding of Appalachian culture. The titles of his previous books and the fact he has been published by a University press sort of suggests that he as an observer is trying to define an aspect of Appalachia in his work. 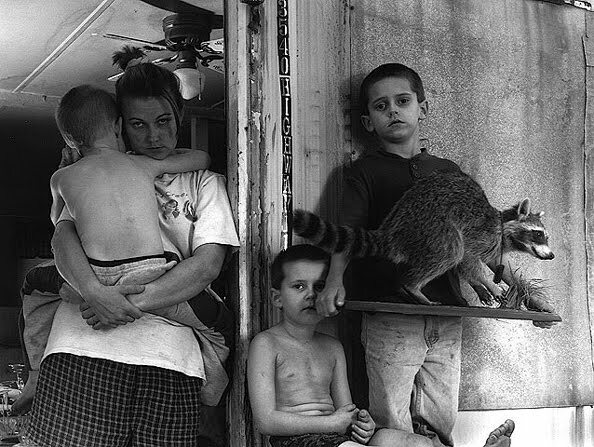 Seeing the work in this context implies a rigid message - namely that these images are "Appalachian". Adams would perhaps argue that they are not meant to represent the whole of Appalachia but just that part that he feels a kinship for. The scholars of Appalachia are sometimes the ones that feel his work is exploitative. Not all but some. And my sense is some of that has to do with them perceiving Shelby's body of work as too narrow in scope to be accurate about their larger culture. AND these scholars, some of them, may have a less solid tradition of reading work that could be construed as interpretive or emotional rather than literal, factual. My suspicion is that Shelby doesn't care as much about how narrow his vision might be because he is doing something personal and just between himself and the people he cares about. A concern with people with whom you feel a connection is a very different starting point than if he had started out trying to say that this is what Appalachia "is". Fine art or not, his photos will be a valuable historic resource for academic study. But I guess you could say that about many sorts of photos. Chris Rauschenberg likes to say that if you find certain photos boring, just wait 50 years. They're all guaranteed to become more interesting. I agree with Chris. Just looking at so so pictures of my kids from fifteen years back and they are all more compelling, or sweeter, or stranger or whatever. What is Adams' living situation? I know he grew up in Appalachia but has he moved away? Or does he spend part of his time elsewhere? Shelby lives in Pittsfield, Mass. Which is coincidentally at the top of the Appalachian range. Or perhaps not a coincidence. He returns to Kentucky for extended stays a couple times a year on average. I think his connection to the work and to the hollers is something that has evolved and clearly comes from his family connections. You might say that he wouldn't have forged the same career as an artist if he never left the hollers but my sense is that he would probably have continued to work through the same ideas and concerns he has for years been working on but maybe in a different gear. Because his family is so deeply entwined with the people who were his first subjects. And those early family friends and folks have introduced him to later subjects. I wonder if he's photographed the people in Pittsfield. I haven't asked that question actually. 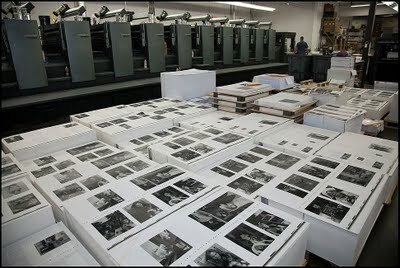 His workshops produce images but that is often at the ICP or Woodstock or Portland or elsewhere. He did some commercial work in Pittsfield I know. But I cannot say whether he has done any variant of the environmental portraiture we are discussing. So he's from Appalachia but now lives elsewhere. So, like many of the best photographers, he might be considered an insider/outsider. Shelby is is from Kentucky. And this work has been continuing for over thirty-five years. I am not sure I would call him a typical insider / outsider. Did what you see when you visited Kentucky last summer look like what you expected from his photos? What did I expect? In some ways because I have now spent a lot of time with all his books, the places were as I expected them to be. But I didn't expect the drive from place to place to be so long. He puts a lot of miles on his car. He has worked primarily in 7 or 8 different counties but it seems each trip has him shuttling around delivering photos to every corner of those different counties. What about visually? When you drive up to an address in some hollow, do the people and buildings look roughly like what's in his photos? Definitely. And as you would imagine, we drove past a lot more than we stopped at. The roads into the hollers can be 5, 7, 9, miles long and some of these folks he might have met years ago through friends or at church they live all the way at the head of the holler. There is a fair amount of density along those roads really. Some places are pretty put together with flowers and gardens and some are less so. All of them homes though. Sounds like where I grew up. One incredible aspect, and distinctive aspect, is how slowly Shelby works. The work really looks more like visiting. Checking in with people, catching up, maybe taking some photos, maybe not depending upon the situation. The 4x5 camera is, of course, a deliberate tool but his process is still very measured. Shelby photographed one woman when I was with him and she lived in a little place filled with angels and small keepsakes. We were there for most of the afternoon. And he took her portrait outside because the light was right outside and he did a closeup portrait of her and it is beautiful. What you don't see in that picture is what? A lot really. There is no saying the reality beneath any image really. Does the artist have a responsibility to show the angels, or the exterior of the house or the tones in her skin (as he chose to) or which truth is the one to share? Well, that's photography in a nutshell. What to show. What not to. When to show. When not to. When to have a show...Getting silly here. Maybe we should tie this up somehow. Any last thoughts? Well, this work is incredibly layered and is meant to be connective somehow. Shelby spent as much time, or more, trying to get the text sections of the book exactly as he wanted them. He was trying to say something in his own words about the way in which his subjects embrace their existence and their way of life and he tries to see "through" some of these surface elements of poverty or hardship and tries to recognize the spark of integrity or the sense of endurance. It is a life-long path for him. And not an easy one because occasionally people react so strongly to exactly those aspects he has looked beyond, or accepted, in some ways. His own history is so entwined with the history he is recording so there are some vibrations happening that aren't readily explainable at times. At times, he wanted to be critical about certain aspects of new Appalachia and the pushback he gets but then he didn't want to be too general and paint with a broad brush and then he wanted to tweak this for clarity and sometimes I would scratch my head and have to ask more questions because it wasn't clear to me. The number of times we reconfigured the text... I cannot say. But he really felt he needed to say his piece and he hadn't had as much freedom previously in earlier texts. And then, he also wanted to allude to the personal difficulties of some of his friends and subjects but wanted to do so without betraying a trust. The words were, in many ways, a far more difficult edit for Shelby than the images. He lives his work. I have met few others as dedicated as he is but that simple description would describe him pretty well. His appreciation for the culture and its people comes through. Good luck with Candela. It sounds busy with publishing, opening a gallery, your own studio. And all at once! I've considered doing all of those things but it's easier to sit back and imagine doing it vicariously through you. Ha! I am busy fondly remembering my earlier, lazier self. Great interview Blake, thanks for that. I've been fascinated by Adams' images for a long time and, I guess, just as fascinated by the lives of the people whom he photographs. I too was a bit squeamish about them until I heard he was born and raised in the area. That makes a difference somehow, I think. I suppose "layered" is as good a word as any for work that fascinates, reveals and questions on so many levels. Shelby Lee Adams is a master artist and his photographs excel visually, and as a narrative conduit between subject and viewer that opens doors that may make us queasy upon entering. Those doors would have long been denied him had he not treated those behind them with the respect they deserve. Visually, the work is loaded with details and nuances that just don't ever seem to let up. And the people themselves are such varied studies, that they force us to consider them well beyond their stereotypes. I'm glad to see that this subject has not yet run it's course, and that Mr. Adams is still portraying it in a vital, dynamic manner (do love the purse). 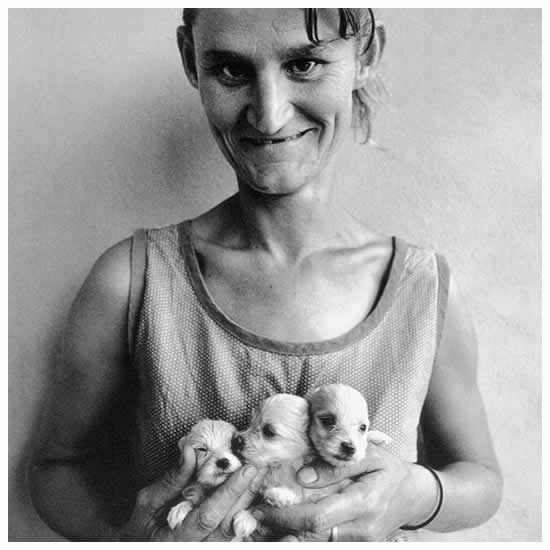 I for one always thought Roger Ballen's "straight" portraits had so much more tension and creativity going on than his staged fantasy tableau.